https://s3-ca-central-1.amazonaws.com/media.ogdolls/20180622193553/BD37430-Happy-Camper-Set-Tent-Sleeping-Bag-Main.png Category: Fun and Adventure. 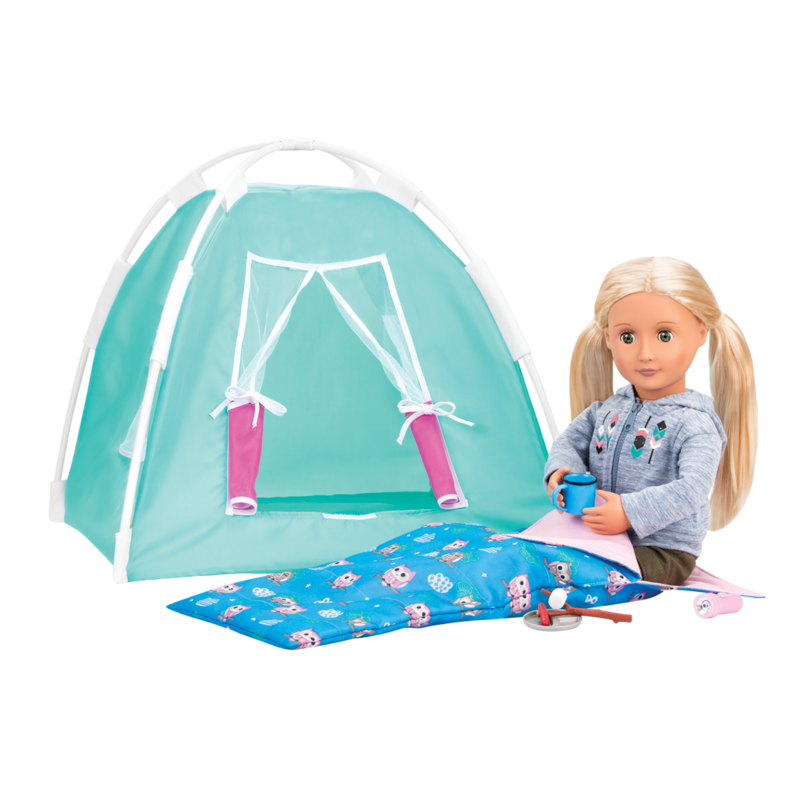 A fun tent and camping gear for 18-inch dolls! Because we love the great outdoors! 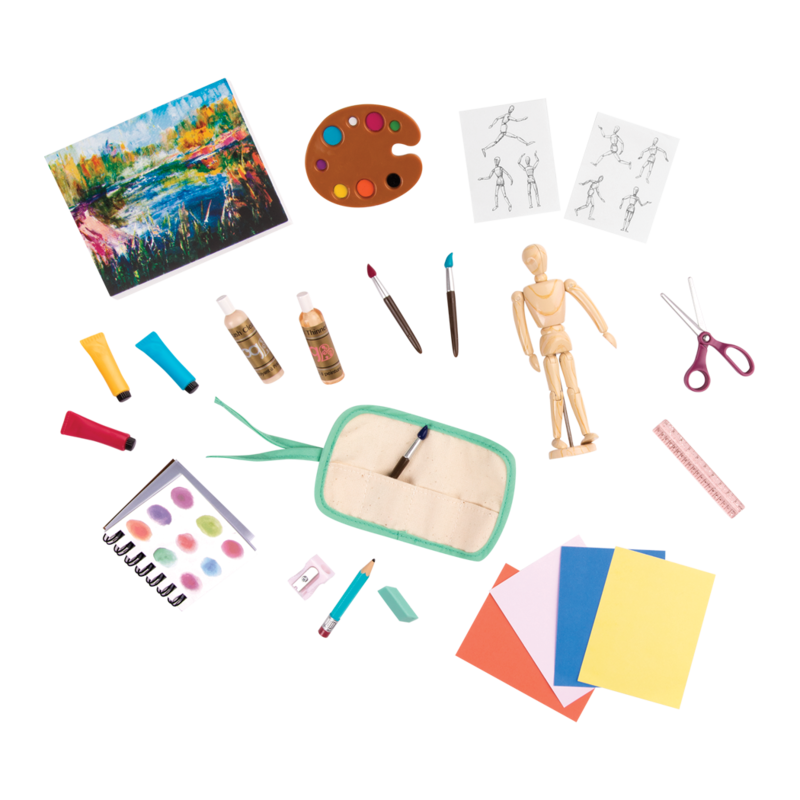 Gather friends for an outdoor adventure with the Our Generation Happy Camper accessory set! 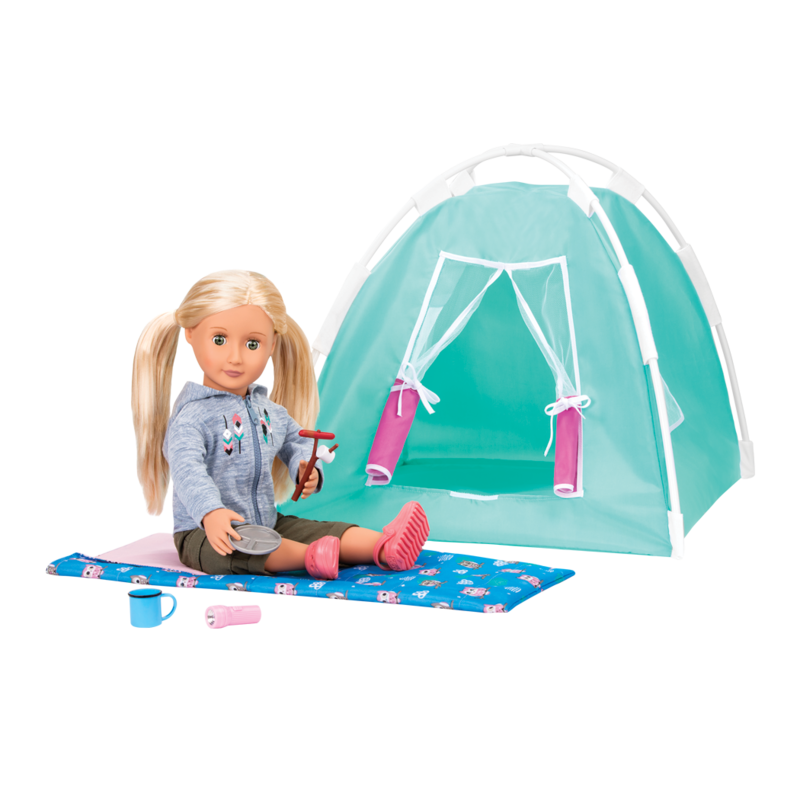 This camping playset for 18-inch dolls is the perfect home base for your doll’s next camping trip. Fresh air and fresh fun! 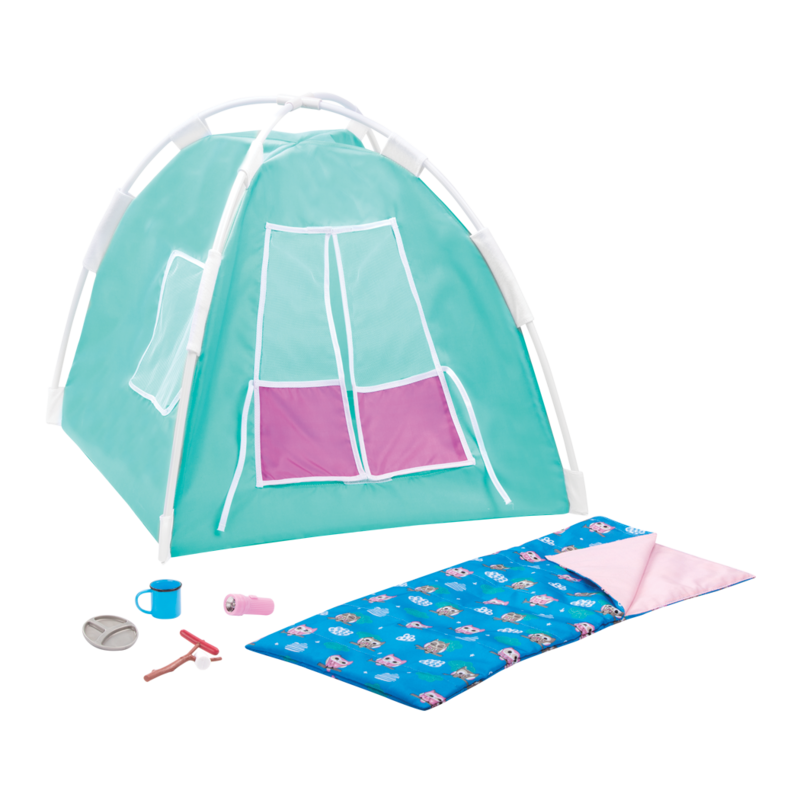 The doll-sized tent has lots of fun features like ties to keep the door flaps open, and is large enough for one doll to comfortably sleep inside. 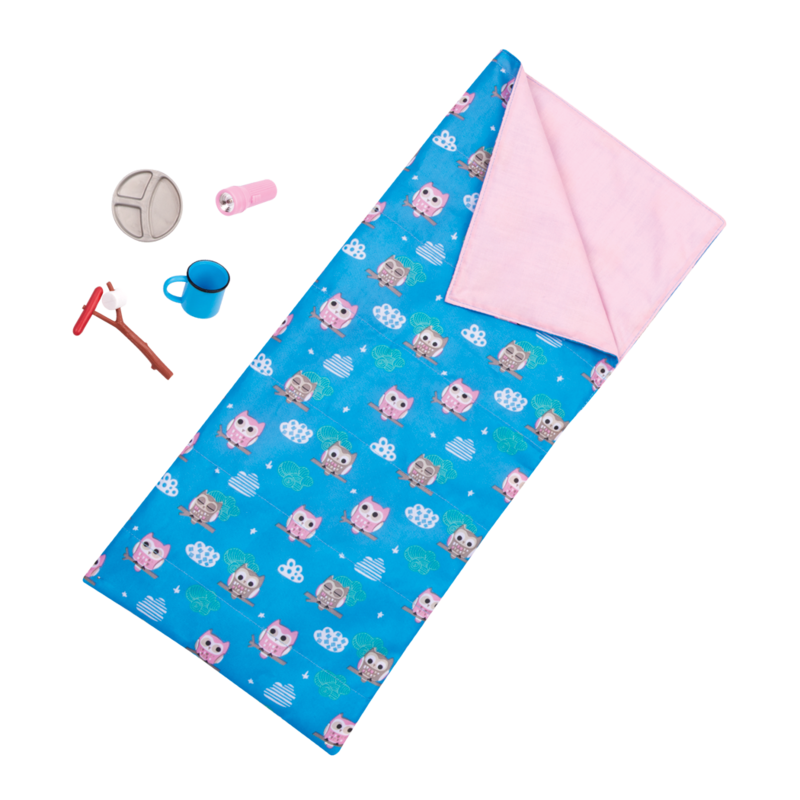 The cute and cozy doll sleeping bag is decorated with a “night-owl” print. 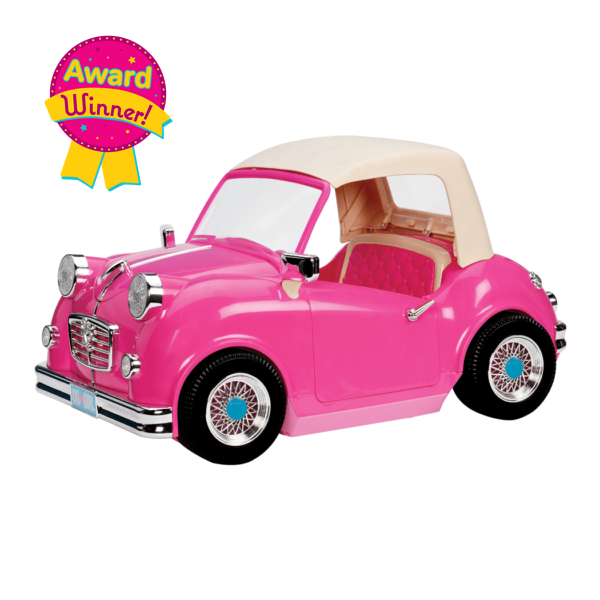 Set it up inside the tent or outside and let your doll sleep under the stars! 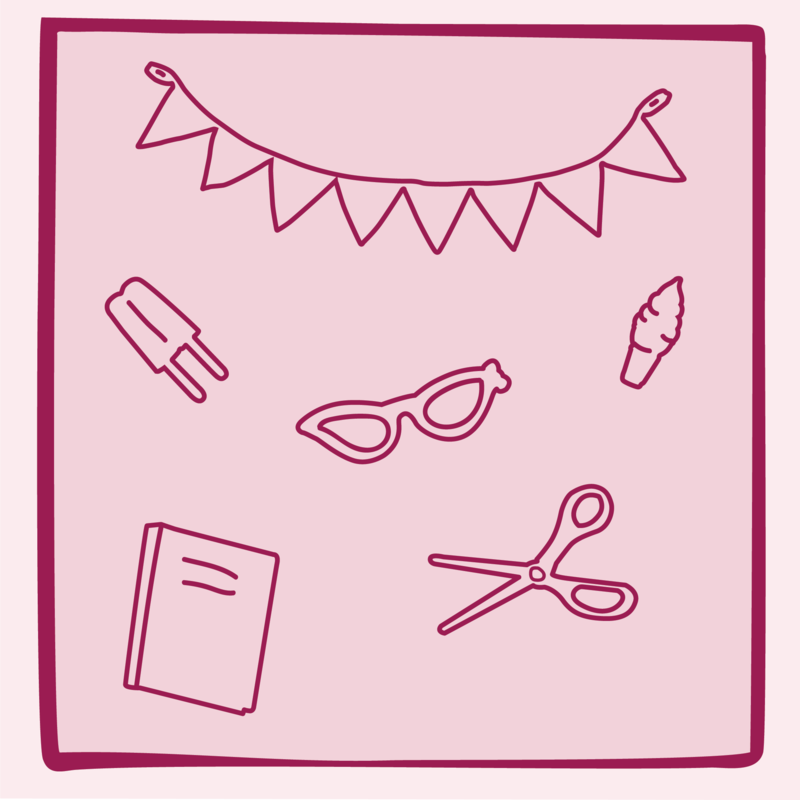 Mini doll camping accessories like the pretend flashlight, a camping mug, and plate with divided sections will make sure your doll has what she needs while she’s out in the great outdoors. Use the hot dog and marshmallow on a stick to grill up a delicious snack over the fire! (Don’t bring your dolls near real fires, of course!) Camping out with your doll is so much fun with this set! 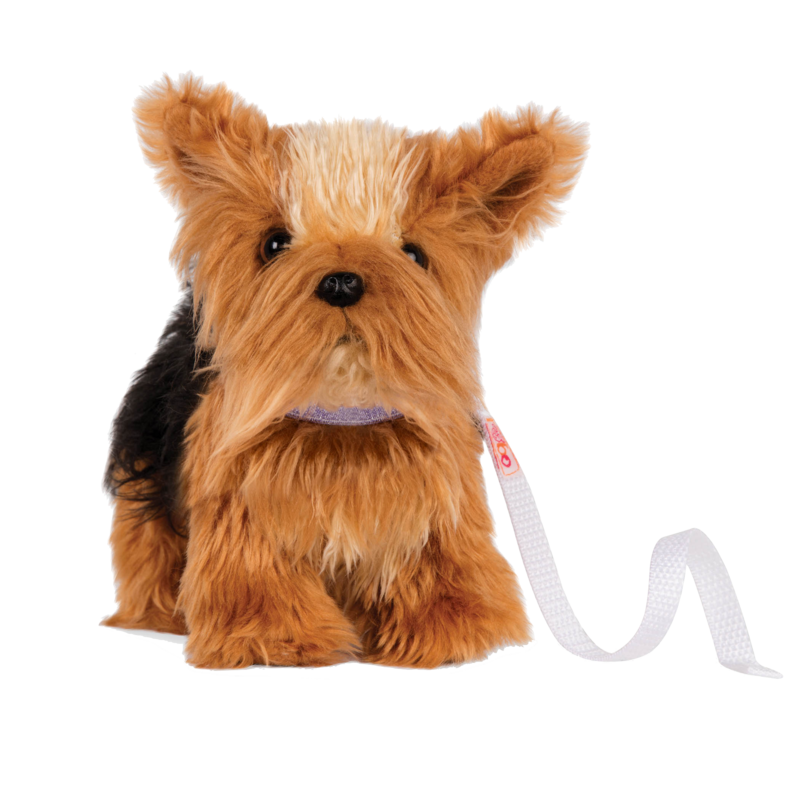 Have you met Ginger, the dolls in the pictures of the Happy Camper Set? Ginger loves having outdoor adventures! Camping out is more fun when you have the proper clothing! Check out the Campfire Cutie outfit – it comes with doll-sized marshmallows and a mini guitar that your dolls can use to sing campfire songs! 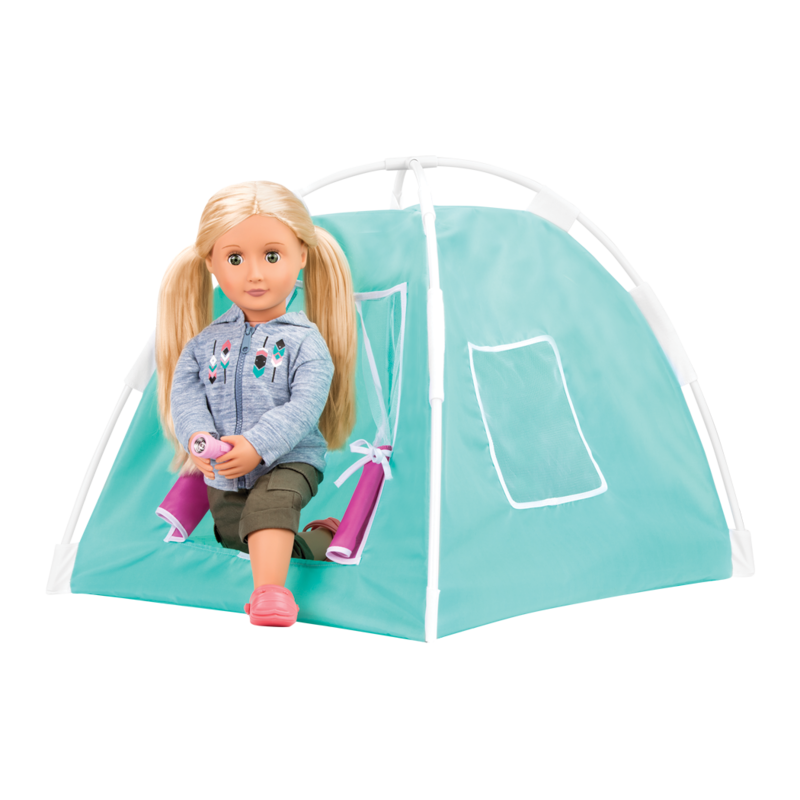 If you’re bringing more than one doll on a camp out, you’ll need a second sleeping bag! The Cozy Camper outfit has a cute camping outfit and comes with an extra doll sleeping bag!